Urban Clothing and footwear for sale online. Nine Days Black,Grey Ombre Skinny Jean and more. Nine Days Black,Grey Ombre Skinny Jean. Nine Days Dark Wash Caviar Studded Cloud Wash Skinny Jean. Nine Days Light Blue Acid Wash Skinny Jean. Nine Days Light Blue Destructed Skinny Jean. Nine Days Light Grey Destructed Light Grey Skinny Jean. Nine Days Light Wash Paint Splashed Skinny Jean. Nine Days Medium Wash Distressed Splatter Skinny Jean. 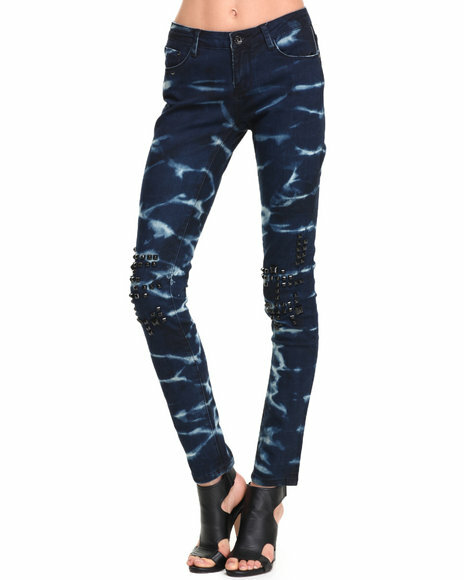 Nine Days Medium Wash Splatter Paint 5-Pocket Skinny Jean. More Nine Days Styles at Dr Jays Hip Hop Clothing and Footwear for men, women, and kids.